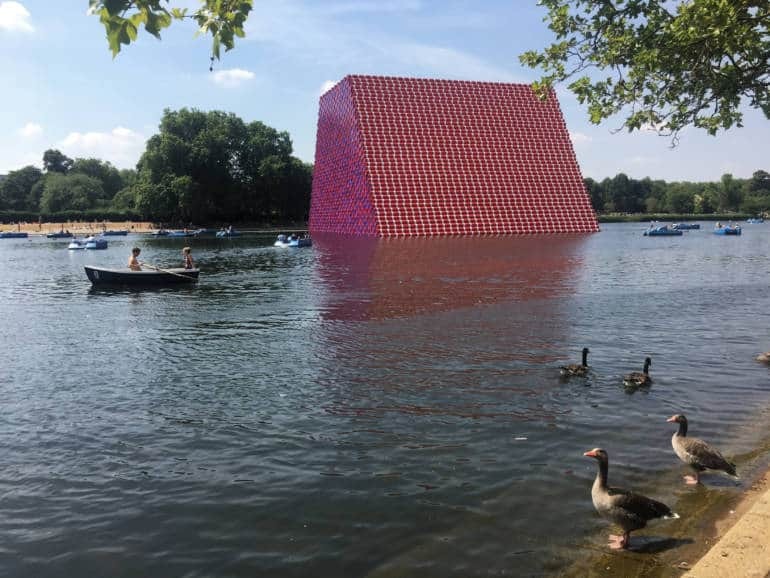 Take a walk alongside the lake at Hyde Park and you’ll be greeted by the impressive site that is The London Mastaba—a shimmering, colourful, pyramid-like structure. A mastaba is an ancient Egyptian tomb, this modern sculpture is make up of over seven thousand barrels. Inside the Serpentine Gallery, you can see the accompanying exhibition featuring sketches and models of the artwork itself, which is perhaps not as exciting as the main piece but one for those who like nerding out on artistic process.